Architectural Stone Concepts’ Smooth Stucco Services division was created to cater to the ever increasing demand for a truly first class stucco application. 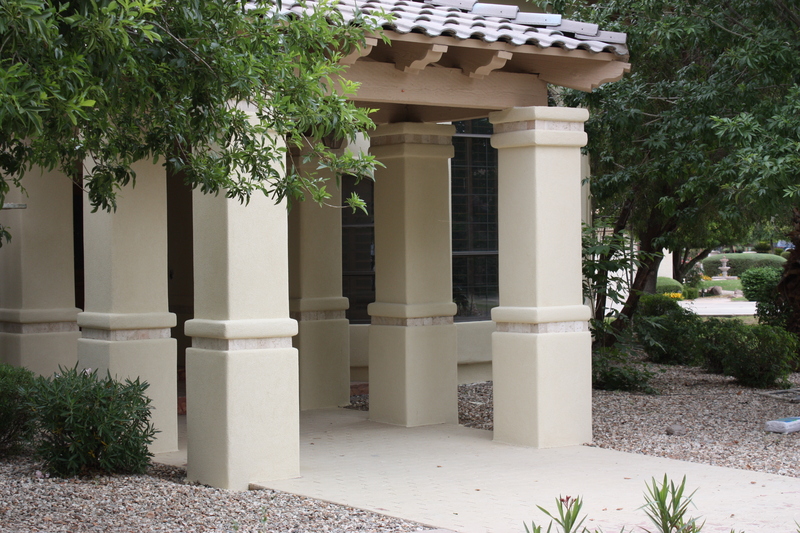 From the very outset, we have focused on our primary strength: Re-Stucco, Sand and Smooth Stucco application. 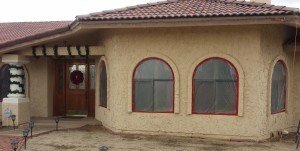 We are now truly renowned for our transforming old and dated stucco textures into a fresh and newly updated Sand or Smooth Re-Stucco finish. 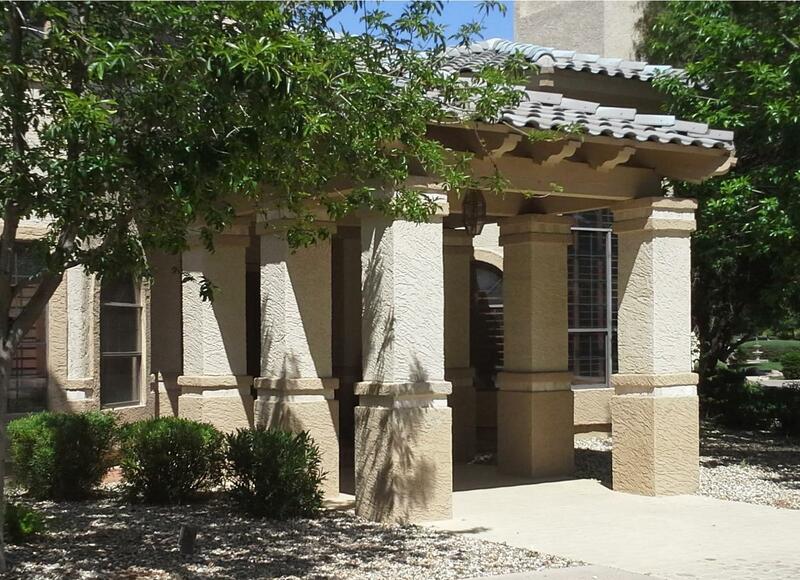 This is without doubt, the most desired stucco finish around the valley’s market-place today. 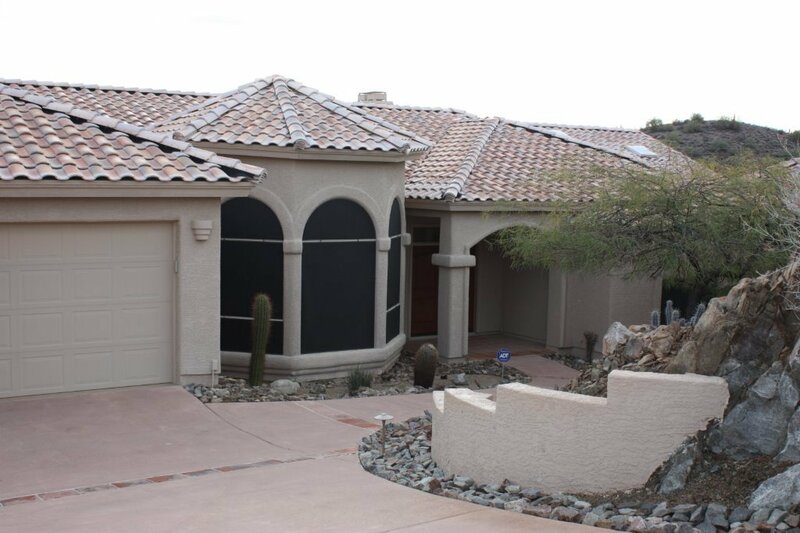 Whether you are looking for a project you’re doing stucco or re-stucco on, if your stucco project is in Mesa, Scottsdale, Chandler, Glendale, Peoria, Paradise Valley, Superstition Mountain, Tucson, Prescott, Flagstaff, Etc., We’ve Got You Covered! 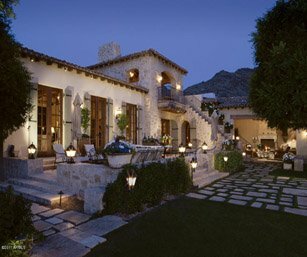 We do Stone and Stucco work Valley Wide and Beyond! It requires the expertise of not only one individual, but rather a “team” of professionals, working in harmony to create a seamless stucco finish along with excellent customer service. In essence, we provide a stucco application that not just anyone can take care of. We’ve always pushed to consistently manage only the very highest level of stucco and stone professionals, regardless of cost. After all, we know that Architectural Stone Concepts, and our finished product, is only as strong as our workforce. 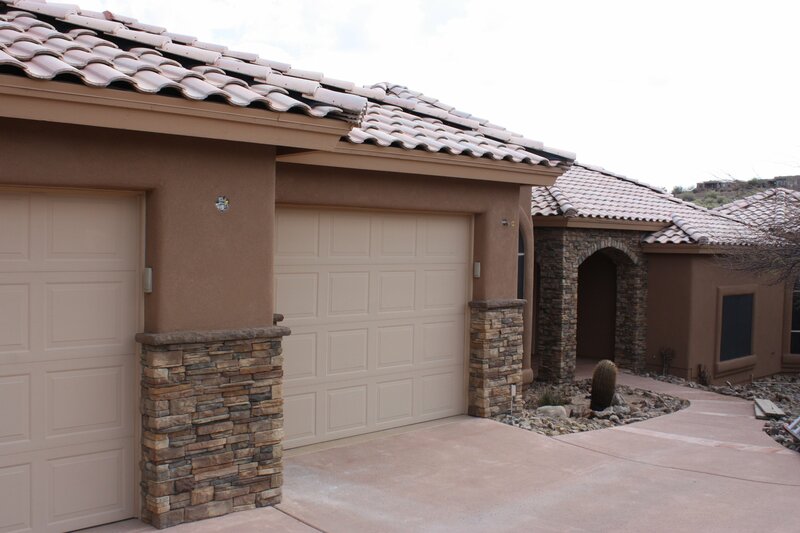 Regardless of your choice of stone or stucco finish, we have you more than covered. We are proud to be regarded as a market leader in Stone Veneer and Re-Stucco application. It is an honor that is not easily earned, but one without a shred of doubt, we plan to keep. We invite you to learn more about our rapidly expanding organization and to see why we are the industry choice for all forms of Stucco and Stone application. 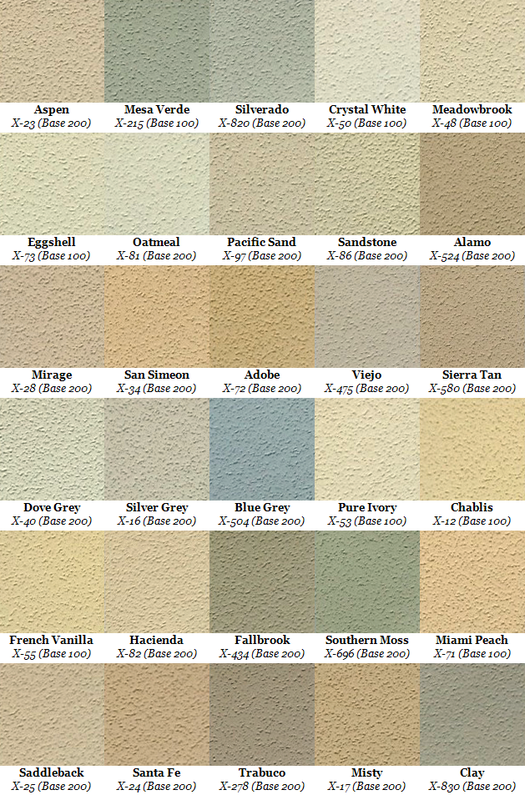 Textured stucco comes in numerous varieties of different stucco textures. Starting with a heavy texture stucco such as a Spanish heavy lace to a light sand textured stucco, we can enhance the look and value of your home.  Unlike smooth textured stucco which is applied with a steel trowel or even a hard acrylic trowel, texture stucco is most commonly applied with a stucco float. Textured stucco is best described as being applied in phases. The first phase is applied as the foundation or base-coat for the overall desired stucco texture. It is imperative to wet the wall to encourage a more uniform and effective suction for your new stucco texture. The first phase is applied with a sponge float in a circular motion, creating a sand finish substrate for the consecutive hand. It is this consecutive application that truly formulates the desired textured stucco by utilizing a combination of differing amounts of color coat materials and trowel or float movement. Textured stucco is generally more durable than that of its densely packed cousin; steel troweled smooth stucco. The thicker the stucco texture application, generally the more forgiving it will be to any movement. Movement in any textured stucco is without a doubt its biggest enemy; stucco is only as strong as its substrate. The foundation, framing, sheathing or lath installation can all very easily play a key role in textured stucco performance if any of these areas are less than perfect. Generally speaking, a textured stucco is easier to maintain than that of a steel troweled stucco, with the exception of its propensity to stain more than smooth stucco. The texture itself is an obvious attraction for environmentally derived dirt and dust. For obvious reasons, the heavier the stucco textures, the more dirt and dust will be fall into and be trapped in its folds. A textured stucco finish will also appear darker in color than its smooth stucco counterpart, as the obvious effects of light and shadow play an integral part in the textured stucco color outcome. Textured stucco can be hosed off for removing dust. For deeper cleaning, a mild detergent and a soft bristle brush can also be used if necessary. It can also be painted, but make certain to use a good quality stucco paint, which maintains the texture stucco finishes requirement to breath. Stucco’s basic requirement to breath is imperative regardless of stucco texture or stucco finish. 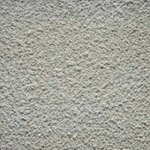 Spanish Lace Finish Stucco –A Lace Finish is the “Textured” stucco finish used most often in lower priced and tract homes. It has historically been the favored finish of production home builders because it is the least expensive to install, and hides imperfections well. It is rarely used in higher end custom homes. 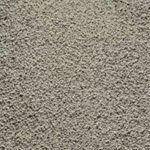 Heavy Sand Finish Stucco – A heavy sand finish is a popular finish that is applied using a foam float that brings the sand grains evenly to the surface. Because of the grain size, this finish does a reasonably good job of hiding imperfections. This texture is used in semi-custom and custom home application. 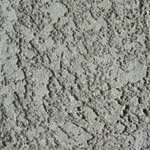 Fine Sand Finish Stucco – Same as heavy sand but with a finer grain size. This finish is a bit more elegant than the heavy sand, but it tends to hide imperfections to a lesser degree. This texture is used in semi-custom and custom home application. 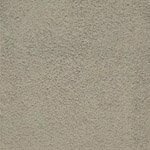 Dash Finish Stucco – This stucco finish is sprayed by a specialized texture machine resulting in an even and consistent texture. Dash finishes have a bit more contemporary feel and are common on contemporary, or commercial / institutional properties and not too common place in the custom home arena. 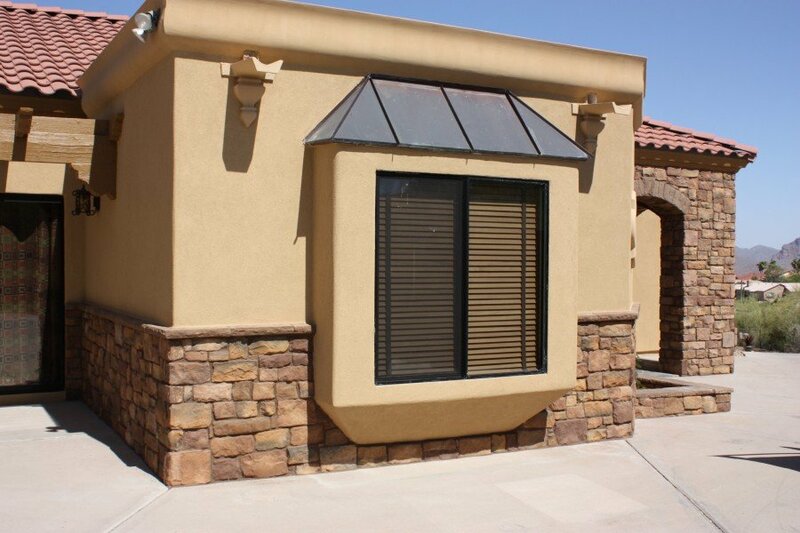 Santa Barbara Smooth Finish Variable Stucco – This particular Santa Barbara Finish is a very smooth, rich & classic stucco finish that can be performed in countless colors with only very minor relief textures. The colors are beautifully variegated due to the hard trowel application. This finish is found in the nicest most elegant homes and traditional structures – despite the fact that these finishes will always tend to exhibit “minor” surface cracking seen close up, this is considered to be among the most desirable. Smooth Santa Barbara Finish – A smooth Santa Barbara Finish is just like the Santa Barbara Variable Finish, except with no relief textures at all. This stucco finish is perfectly smooth and spectacularly beautiful. And like its Santa Barbara Variable Smooth counterpart, it too is considered to be among the most desirable finish only in a more consistent look. The trade of stucco application is one of the most ancient around. Evidence shows that even primitive man plastered mud over framework of sticks and reeds to enclose a protective structure to shield them from the elements. The Pharaohs of Egypt used wall plaster in their palaces. The pyramids, which the Pharaohs constructed as a monument to themselves, contain wall plaster which may be seen to this day. 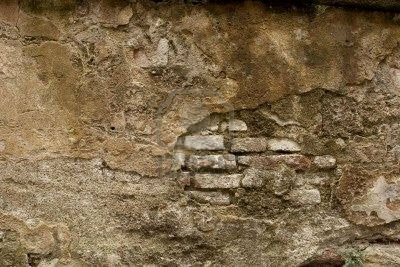 It is known that this wall plaster and the decorations upon it, was applied prior to 4,000 years ago. 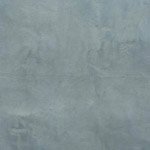 These wall plaster surfaces still exist today which is a testament to the sheer durability of the wall plaster system. Research has also shown that the principal tools of the wall plaster professional were practically identical to those used today. Nothing much has changed. The finest wall plaster work accomplished by the Egyptians was made of a plaster produced from calcined gypsum (gypsum made powdered by heat action), just like the plaster of Paris of present day. 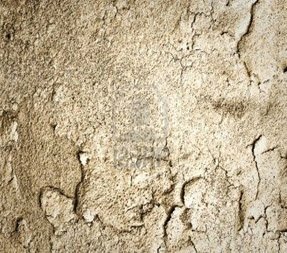 The method of applying wall plaster was also very similar to the methods used today. The Egyptians plastered on reeds – a method which somewhat resembles today’s application of wall plaster over metal lath. Hair was even used to strengthen the plaster even at this early date – another method which closely resembles the chopped glass fiber strands added to the scratch and brown coats of today. A study of ancient Greek architecture reveals that wall plaster and stucco (plaster was primarily referred to as interior work and stucco, exterior application) was used at least 500 years before the birth of Christ. It is from the Greek incidentally, that the word “plaster comes from; Meaning to “daub on in ancient Greek language. The value of using plaster work was apparent to those early users. The density of the material, plus its smooth surface, provided both protection and a surface ideal for decorative treatment. Later on, lime and sand were combined as a mortar to cover both the reed lath and masonry walls and ceilings. The antiseptic value of lime was also used by ancient people in preventing the spread of vermin and disease. Wall plaster was recognized long ago for its fire protection attributes. Its value as a fire retardant was demonstrated in the many fires that ravaged London during the Thirteenth Century. The King, at the time, insisted that all buildings were to have plastered walls. Houses that did not meet these wall plaster specifications within a stated period were to be torn down. During this period and through the Sixteenth Century, the wall plasterer skill was developed to a height unequalled in history. The Renaissance period (14th, 15th and 16th centuries) of art and architectural development began in Italy and spread to other countries. This was a transition period from the medieval world or dark ages of art to the modern revival of the ancient classical orders and designs. During all this period of history from almost the first use of wall plaster to the middle of the 19th century, the wall plaster professional used lime and sand for the basic plain work of covering walls and ceilings. This mortar took about two weeks to set (harden) under favorable conditions. The gypsum plaster used set faster but it was too costly for ordinary wall plaster work. It was used only in the ornamental field and for various imitation marble finishes called “scagliola – a skill developed in Italy in the 15th century. Gypsum and its product, plaster of Paris have gradually replaced lime as the binding agent for sand in plastering mortar since the beginning of the 20th century. Its time rate of set could be controlled, allowing the plasterer to build up layers or coats of wall plaster in a matter of hours, rather than the days and weeks required with lime mortar. Speed became an important factor in the continued growth and development of the wall plaster craft. The development of new lathing and plastering materials increased the demand for plasterers during the first half of the 20th century. Then the age of mechanical power overtook the plasterer and he began to lose ground to substitutes. However, the trade picked up the challenge and today the plasterer has at his command, a plethora of machines to mix and apply the numerous materials he has to work with in regards to stucco or wall plaster. As with all things in life, stucco and wall plaster evolved into the industry it is today. 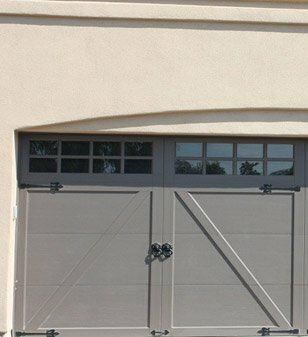 One of our most common stucco applications is that of Re-Stucco. 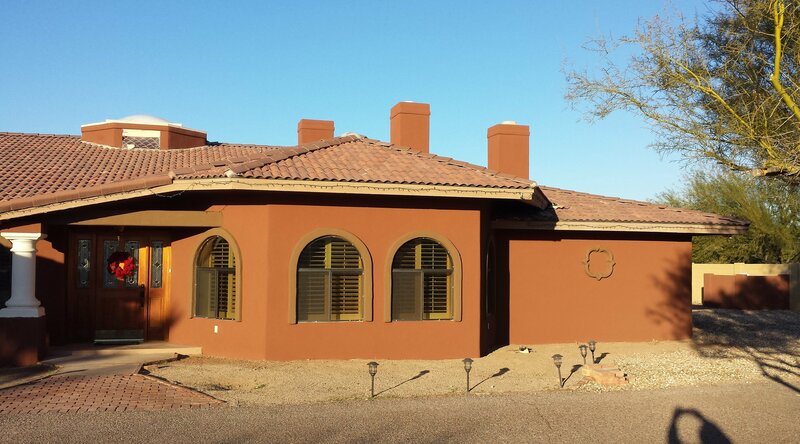 Residential or commercial properties with damaged or tired exteriors benefit greatly from a complete Re-Stucco and a new coat of color. There is a myriad of different ways to approach a re-stucco project, dependent largely on the existing finish and what actions must be employed to create or promote a uniform substrate or base. Another common form of re-stucco employs the need to remove existing wood siding. This scenario calls for a combination of re-stucco AND full-lath stucco application. In this situation, any newly “opened” or exposed areas needed to be lathed and “scratched” prior to performing work. 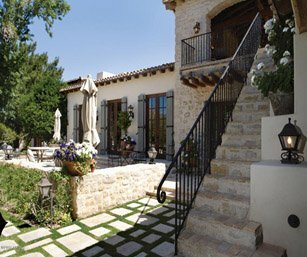 There are countless numbers of hurdles that can and often do present themselves in a basic re-stucco project. Probably the most common of all, is the need to tie in new stucco with old. This may be the case when a property has existing stucco but with a new addition which will require a full lath application. The most important aspect to this case of re-stucco, however, is the brown coat which needs to be applied over the entire structure. This is not only necessary for the full lath installation, but also serves to level the newly sandblasted areas, and thus providing a uniform substrate. It is also highly recommended to implement a fiberglass mesh wrap in any re-stucco situation. The additional support of the fiberglass truly works wonders in securing a uniform and durable finish. Re-Stuccoing and Stone Packages for existing homeowners’ work accounts for the majority of our work here at Architectural Stone and Stucco. With the stucco on so many homes and commercial buildings wavering after years of abuse by Arizona’s climate, and an already substandard stucco application (in comparison to stucco technology of this day and age), re-stuccoing is becoming as common as re-painting. Re-Stuccoing requires a higher degree of understanding insofar as to how stucco reacts under certain conditions. Also, when faced with the very common issue of tying together new stucco with old, or stucco repair, more than ever your stucco professional will need the right experience to create a seamless stucco finish. 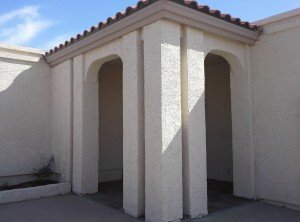 What is the key to our successful re-stucco application? Re-Stuccoing a house comes with an abundance of challenges that must be addressed and overcome. For example, in contemporary homes with windows, door and fixtures which are flush to the existing stucco surface, the challenge of “how to recreate this finish” has been performed and a new color coat is applied; adding obviously more density than that which is being removed. It is industry standard practice to simply “roll or feather” that new finish into your existing window and door frames. While this is not incorrect by any means, its outcome is rarely explained to the customer prior to work commencing. 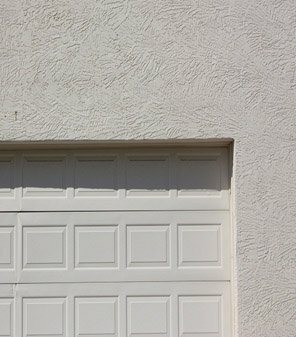 The customer is then often left feeling short – changed as their prior stucco, while being of poor quality or in need of freshening up, was at the very least clean and contemporary – certainly NOT the now “semi bull – nose” finish as a result of the thickness of the new re stucco application. 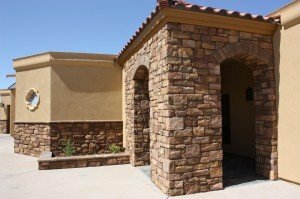 To counteract this VERY common issue with re stuccoing, Architectural Stone Concepts has compiled various Re-Stucco packages with the use of modern day stucco technology to aid in the creation of a seamless stucco finish. Firstly, we install J -Metal molding around all windows and doors to allow a clean termination for the new stucco application. 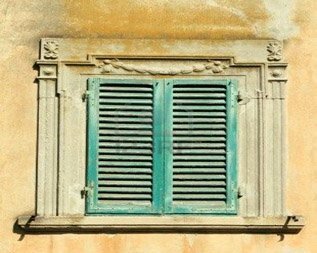 Secondly, this can be custom painted to match the customer’s choice of stucco color, window color or otherwise, or left milled to leave as – is or paint at a later date. The above process can be implemented when one needs to recreate a flush stucco finish (as mentioned above). However, in instances where a customer is looking for a more classical or Mediterranean finish, OR indeed is interested in the possibility of implementing window molding surrounds; architectural foam moldings provide the another great solution to “bridge the gap” between a new re stucco finish and an existing window or door. PLEASE NOTE: Customers not opting for any one of the packages below receive a “Basic” finish whereupon the new stucco application is rolled into the existing window, door and vent frame with the greatest possible care and attention. This is the industry standard method. Smooth stucco is not just a finish, it’s an art form. It can add thousands of dollars to the value of any home and when correctly applied can give years of hassle free service. Not to mention, it looks absolutely FANTASTIC!! If you are interested in smooth stucco, chances are you’re not exactly well aware of the cons to any steel trowel stucco application? Yes, smooth stucco is prone to hairline cracking. In actual fact it is a temperamental beast which is virtually impossible to patch, and if applied with anything less than text book accuracy, will almost certainly create performance headaches, either immediately or shortly after initial application. In short, you cannot cut corners with smooth stucco. More often than not, Smooth Stucco Finishes produce the most cracking issues at stucco terminations such as window and door corners, vents, electrical outlets and/or plumbing fixtures. To counteract such occurrences there are minor but highly effective remedies that may not completely eliminate stucco cracks (as this is without doubt quite impossible), but will certainly help in promoting a substantial reduction. Architectural Stone Concepts is known throughout the industry as a specialist in smooth stucco application. Many of our projects involve a steel trowel finish. Through this continued exposure we have fast become accustomed to every nuance that this delicate finish presents. From ensuring that foliage is trimmed back around a new application (as the bark on even the smallest tree will stain your new smooth stucco finish), to the more complex but simple procedure of applying diamond mesh lath to the corners of stucco terminations; introduced to reinforce said corners (as stated prior, these areas are most prone to stucco cracks). 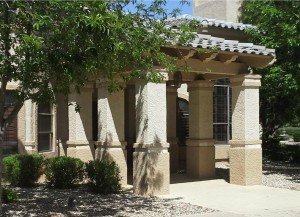 Our experience in the art of smooth stucco application has earned us a stellar reputation throughout the valley of the sun. From city inspectors to sports personalities alike, the compliments are unanimous. 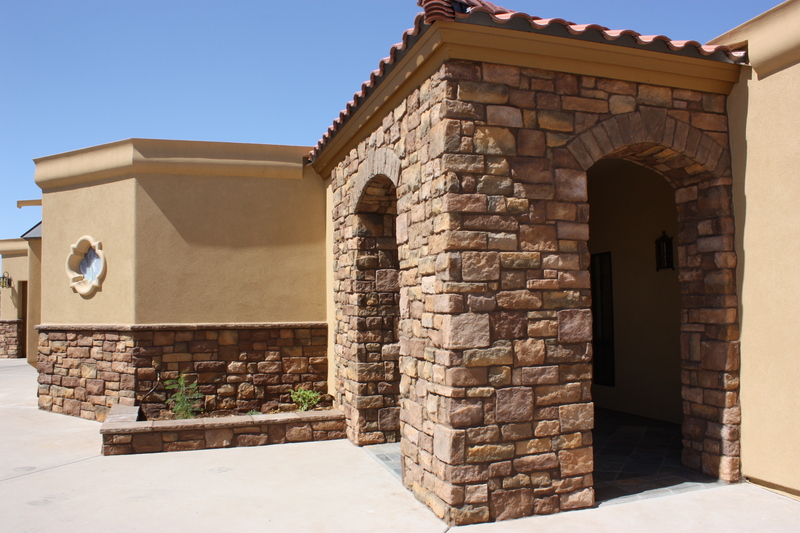 If you are in the market for smooth stucco, Architectural Stone Concepts is the Stucco and Stone professional to hire. A traditional re-stucco application is a multi – phase process which consists of surface preparation (such as possibly of sandblasting or repair, if applicable), a basic skim coat application, which in this case may either be a skim coat brown coat to straighten out the sandblasted surface, or an acrylic modified base coat. Product should be introduced to create an ideal (perfectly level) substrate for the new color coat application and finish. HOW THE ARCHITECTURAL STONE CONCEPTS’ ARE FINISHES DIFFERENT FROM OTHER SO CALLED SMOOTH STUCCO SPECIALISTS? First and foremost, the quality of any application is the direct result of the quality of the hand holding the trowel. Like any professional at the top of his or her game, such skill has been earned via time served. Lower priced or budget operations whom promise the world with a low- ball bid rarely, if EVER, have a crew of VETERAN smooth stucco applicators. Low- ball bids can only be satisfied by lower priced labor. And you do not need to be a rocket scientist to understand that true skill and experience always comes with a price. Would you expect to see Larry Fitzgerald or Payton and Eli Manning playing in Arena Football? We think not… In addition to the obvious benefit of a skilled hand, management plays another key factor in an unrivalled smooth stucco finish. Even a skilled worker is human after all, and without checks and balances, one cannot truly guarantee any kind of service or finish. Any championship sports team always relies on direction. It’s no different with smooth stucco application…just a little less glamorous. Lastly, but certainly not least; premium quality materials and general tricks of the trade put the proverbial icing on the cake. 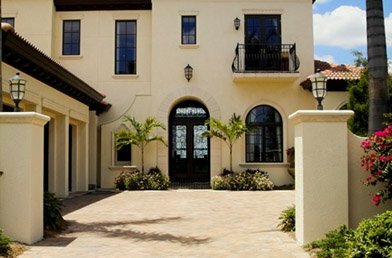 As stucco is only as strong as its substrate, EVERY stage of a traditional 3 -coat smooth stucco application must be treated with the uppermost level of respect and attention. The quality of every application procedure immediately precipitates the next. Just like a strong foundation is needed for a quality home build. WHY USE ARCHITECTURAL STONE AND STUCCO COMPANY FOR INSTALLING STUCCO AND STONE? It‘s an unfortunate fact of this business, even more evident in the current economic climate, that quality has taken a FIRM back-seat over all else nowadays when it comes to installing stucco and stone. Homeowners are as much at fault as the shady stucco and stone contractors that serve them however. Why is it that homeowners are also subject to blame, you ask? Why has installing stucco and stone with a quality and consistence in mind becoming simply so hard to accomplish? As a homeowner myself, I too look for “bargains” not just at the local convenience store, but also in everyday life. If I need construction or other work performed on my home; to which none of my crew are able to assist, I will look elsewhere for a reputable avenue to explore. However, being in the construction industry I know one thing to be absolutely sure. And when I stress absolutely sure, I hope that you listen to what I say. 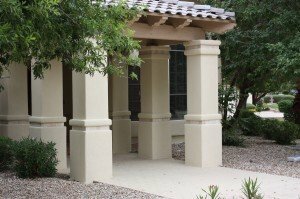 There is NO “miracle company” in any field that has their game-plan so “dialed in” that they are able to offer a true premium service (with supervision and management – as this is key) for the kind of budget price that most people expect to pay for installing stucco and stone these days. It is a simple fact that any budget price for a service is satisfied by lower quality labor and or materials. In most cases (I would hazard a guess at 90%) the culprit is lower quality labor. As a business owner I could literally cut my proposal costs 50% if I secure the services of “The Handy-Man” workers or gentlemen picked up on the corner for day-labor for installing stucco, or a rookie stucco installer with less than 3 years experience. It doesn’t take a rocket scientist to understand that you are not going to get the knowledge, experience or quality with this type of workforce representation when installing stucco and stone; and you may not discover you’d been had until you see and compare the shady workmanship you got next to a job that is done correctly. Unfortunately, the kind of budget prices that homeowners expect to pay in this day and age simply do not allow for any kind of focus on true quality for installing stucco and stone. Every company needs to make a profit to stay in business; and legitimate companies obviously have a greater overhead. Sure you can go with a mom & pop or illegal operation, but can you be sure they will even be around the following week? Do they have the resources to fund the remedy of any kind of error? What happens if a worker falls and breaks his back – are they adequately covered? 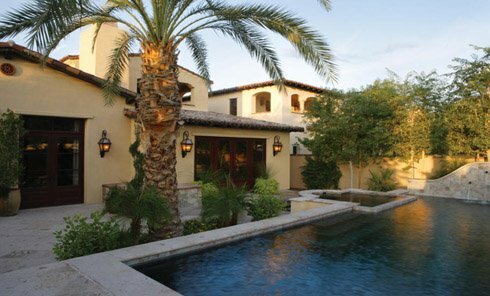 All of these questions and “many” more need to be answered when choosing any contractor for installing stone or stucco. The single most glaringly obvious factor in construction is YOU GET WHAT YOU PAY FOR. I know that many homeowners just refuse to accept this, but it is the REALITY. At Architectural Stone Concepts, when we are hired for installing stone or a re-stucco on ANY property, regardless of location, scope or size, you can be assured of a veteran level workforce. Plastering or Stone Masons who are professionals with several years of experience under their belt. This is why we have consistent A ratings with the Better Business Bureau, no complaints with the Registrar of Contractors, excellent referrals from homeowners and builders in our field, and employees that have been with us for years. Veterans do not make “rookie errors.” Unfortunately you have to pay a true professional for his or her services. Keep in mind, we are the most competitively priced “legitimate” company out there that offers top-notch quality work unparalleled to that of the competition. And trust me, this is no marketing speech, it’s a fact. When you secure the services of Architectural Stone and Stucco for installing stucco or stone, you get a full team of professionals dedicated to the ultimate in quality and service. We cut no corners, consistently push the envelope in regards to performance, and ALWAYS deliver the ultimate stucco and stone finish. It’s just what we do.